The (4-19) Cuyamaca College Coyotes narrowly squeezed in a victory over the (3-20) Grossmont Griffins, in a nail-biting district-rivalry. 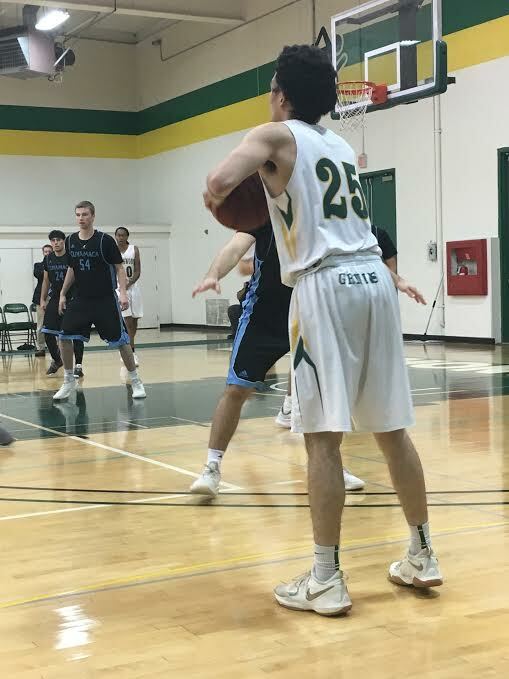 On the frigid Friday night of Feb. 1, in the Grossmont gymnasium; the stealthy Coyotes pulled off a victory over the struggling Griffins in a back-and-forth battle that ended with Grossmont falling prey to Cuyamaca 78-68. The final score though was not a true indication of just how intense and close this action packed matchup was, as the district rivals remained neck-and-neck until the final minutes of the game. The Coyotes pounced to a quick start with freshman guard/forward Chris Stanek nailing his first, of three, monster 3-pointers of the half and remained a force to be reckoned with; leading Cuyamaca’s starters with 11 points at halftime. The Griffins weren’t going to let the Coyotes sly away with the win that easily, as freshman guard Lamon Hudson made aggressive plays; creating turnovers and turning them into points with a tremendous steal on Coyote, Ryan Flowers. Hudson then finished the play off with a gorgeous layup, tying the melee at 22-22 with 9:18 remaining in the first half. 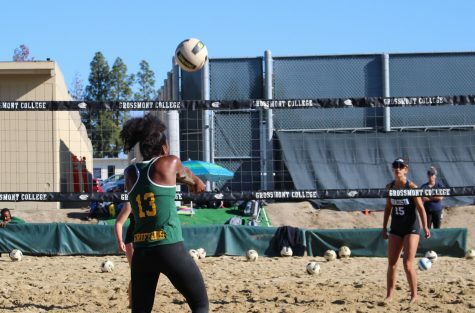 Cuyamaca regained the momentum hitting back-to-back free throws and connecting on multiple jump shots; but Grossmont had a response of their own. The the 6-foot-5 forward, Josh Burton answered back; dishing up a superb 3-pointer to tie up the score at 29-29 with 5:33 left to play in the first. With the Griffins leading 33-31,the half concluded on yet another impressive steal by Hudson who commended his teammates and the cohesiveness they have demonstrated considering they’re missing some key players. The freshman guard explained, “Since the second half of the season started we’ve been feeling closer like that, we’ve been scoring more and playing defense. And we’ve had adversity, we had four players that were ineligible, so we’re playing with what we have”. What they,“have”, demonstrated to be quite a lot of tenacity as the Griffins were battling in a district rivalry showdown that would persist until the bitter end with a second half filled with even more intensity then the first. The Griffins came out soaring, tipping off the final half by aggressively creating turnovers and converting the steals into points by old fashion ‘team effort’. Sophomore, guard Marc Cabrera, became the notorious thief of the half. 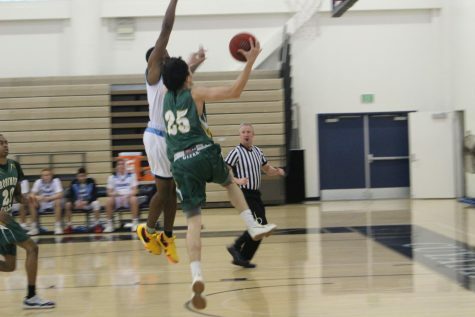 Cabrera created back-to-back steals; the second of which was converted in to a 3-point play with standout sophomore guard/ forward Josh Peloquin dishing out a solid jump shot supplied with the assist by Hudson, putting Grossmont in front 47-43 with 13:10 left to play in the game. However, the Griffin’s lead would not last for long as the Coyote’s sleeping giant, sophomore Frankie Gutierrez, awakened from his first half slumber, nailing his second 3-pointer of the half tying the score at 49-49 with 11:01 remaining. 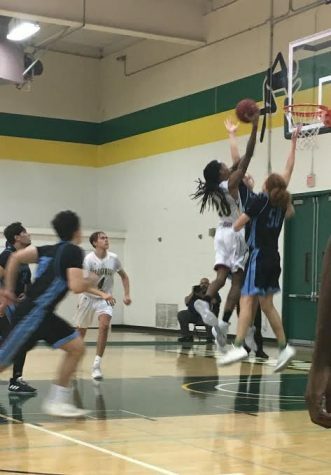 The ensuing minutes proved to be defensive stands by both teams, while the Griffins maintained possession with forward Jamal Johnson snatching offensive rebounds, keeping the ball in Grossmont’s control. 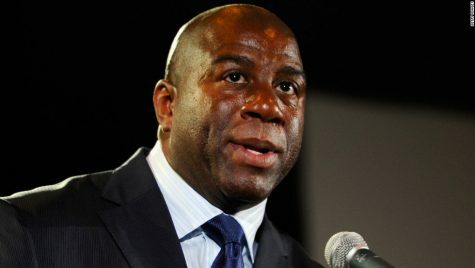 With 5:16 remaining, this nail-biter was about to heat up once again. Coyote’s freshman Flowers, redeemed his turn-over from the first-half by going shot-for-shot with Peloquin, tying the game 58-58; the contest was living up to the hype of this competitive rivalry. The Coyotes were able to just narrowly obtain the upper hand, reclaiming the lead when second-half standout, Gutierrez, hammered in a jump shot that proved to be the final nail in the coffin for the Griffins.With Grossmont failing to connect on their attempts, Cuyamaca began to steal the show with Gutierrez hitting a 3-pointer with 2:59 left; the contest was slowly slipping from the clutches of the Griffin’s grasps as they trailed 66-61. Cuyamaca finished strong, closing out the final minutes playing aggressive and taking advantage of defensive rebounds while Grossmont was forced to commit fouls to stop the game clock. Unfortunately for the Griffins,the accurate free throw shooting supplied by the Coyotes, solidified the victory for Cuyamaca winning by a final score of 78-68. This loss was especially demoralizing for the Griffins as the match-up was so close and the team fought with such toughness; which Hudson touched on after the game, “We played hard as a team we did everything we could do. 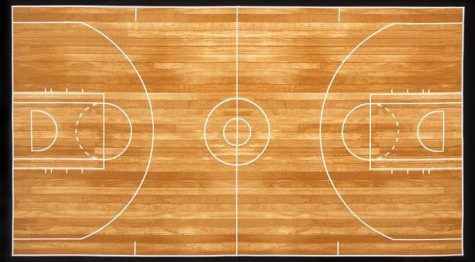 We played on defense, we just played hard. I guess they just had it on their shoulders today.” While this loss was a tough pill to swallow for the Griffins, the guys look to rebound as they continue to grow as a team while the season progresses. Sophomore center for Grossmont, John Nalty expressed this optimism, “We played together and we just had a hard time closing this game out in the stretch so if we just close the game out next time we’ll get them in league.” Nalty continued, “Definitely as the season progresses were playing better it’s just were running into a lot of the same mental errors and we gotta get over that.” The Griffins will have just weeks overcome these mental hurdles as the next conference showdown against the Coyotes takes place Friday Feb. 22 and this time on Cuyamaca’s home court.